Sofia is the capital and the largest city of Republic of Bulgaria. It has 1,246,791 people. It is the 15th largest city of the European Union. Sofia is in the west of Bulgaria. Many of the major universities, cultural institutions, and businesses of Bulgaria are concentrated in Sofia. ↑ "Sofia Trough Centuries". 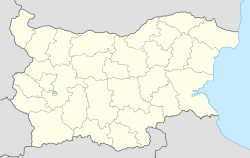 Sofia Municipality. http://www.sofia.bg/en/display.asp?ime=sofia. Retrieved 2009-10-16. ↑ "Population table by permanent and present address as of 12 June 2006" (in Bulgarian). Head Direction of Residential Registration and Administrative Service. http://www.grao.bg/tna/tab02.txt. Retrieved 2006-06-15. This page was last changed on 15 September 2016, at 00:59.